DrinkWire is Liquor.com’s showcase for the best articles, recipes and reviews from the web’s top writers and bloggers. 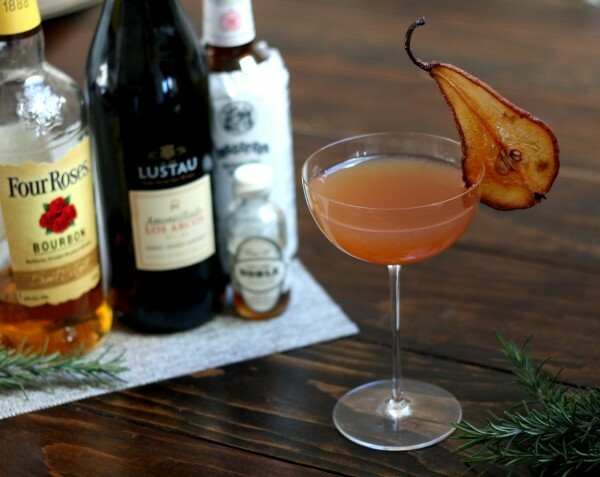 In this post, Garnish offers a Christmas-inspired cocktail. A cocktail made with sherry! I'm pretty sure you could write a whole song here... Four Roses, Three Olives, Two... um... well, I haven't really thought it all through yet. I just love the flavors in this cocktail. Amontillado sherry is one of my favorite new ingredients, and I think it works really well here, adding its nutty and fruity flavor without contributing too much sweetness. It blends beautifully with pear juice and bourbon. In lieu of regular maple syrup, I used some Noble Chamomile & Vanilla Maple Syrup, which was a subtle but nice touch - their Bourbon Barrel Aged Maple Syrup would also be awesome. Combine all ingredients in a shaker with ice and shake until chilled. 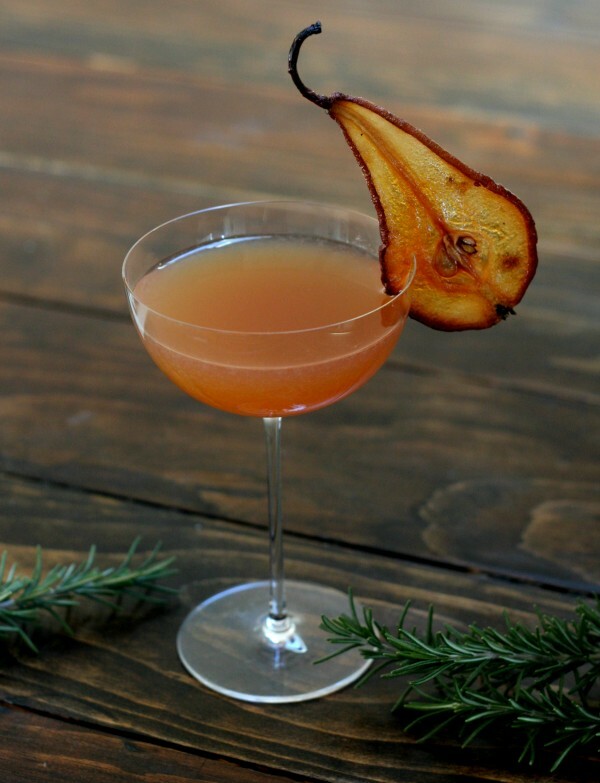 Strain into a coupe glass and garnish with a candied pear*.